S&T Airborne Systems (previously SSC Airborne Systems), a member of the Sjöland & Thyselius group, has received in January 2015, a new order to upgrade one of the three MSS 6000 systems operated by Transport Canada. “We are very pleased that Transport Canada has decided to take advatange of the latest developments in our system” says Olov Fäst, Director of Global Sales at S&T Airborne Systems. The order includes an update of the map database on board to incorporate detailed land maps. Also a second operator console will be installed together with the software to allow two operators to work in parallel on the system. This will improve the surveillance capability and situation awareness on board the aircraft as well as enchance the cooperation between crew members and ground station, thereby also improving the cooperation with ground command and other government authorities. 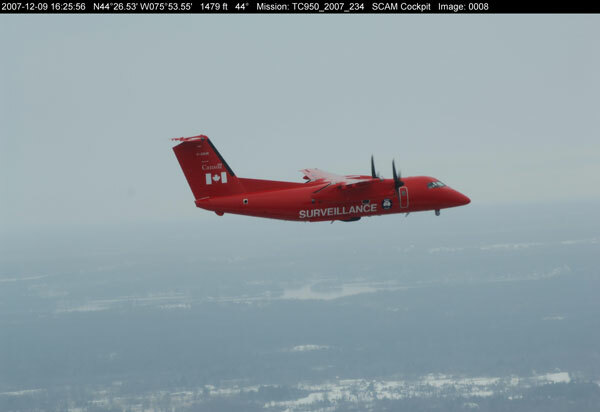 Since 2006 Transport Canada is operating three MSS Systems installed on two Dash 8 and one Dash 7 aircraft as part of National Aerial Surveillance Program. With these aircraft Canada patrols its extensive coast line and inland lakes and has been very successful in controlling pollution. Louis Armstrong, Chief, Intelligence, Surveillance Program Manager for the National Aerial Surveillance Program welcomes the new possibilities for improved operation and communication that the upgrade will bring. The MSS 6000 Maritime Surveillance System used by Transport Canada includes SLAR (Side-Looking Airborne Radar); an IR/UV (Infra-red/Ultraviolet) line scanner; an Airborne AIS (Automated Identification System) for receiving ship identity information; an electro-optical infrared camera system, a satellite communications system; a high-resolution digital photography camera and a video system for visual documentation for evidence purposes. Data from all systems is processed, integrated and presented in one integrated view to the operator. All recordings are annotated with GPS data and digitally stored in an on board geographical database. Data and digital images are presented integrated with an electronic nautical chart database, and also correlated with the mission report, all at the fingertips of the user, to ensure maximum efficiency during routine surveillance as well as in emergency situations. The MSS 6000 software will further allow transmission of data to the ground in real time as well as replay and analysis of recorded missions on a separate ground work station. 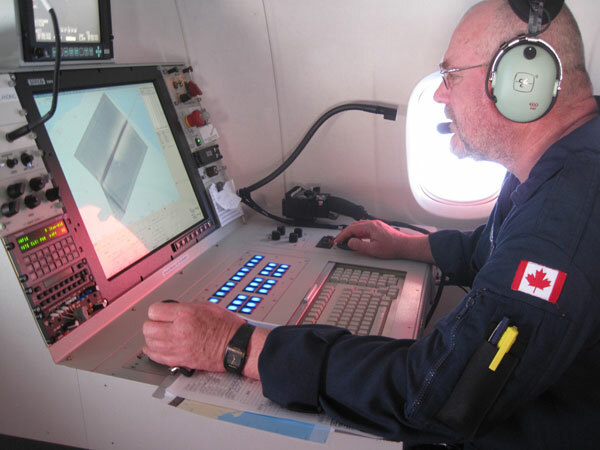 The MSS 6000 is used by coast guard organizations around the world. The MSS 6000 design rests on our long experience from installing more than 80 airborne maritime surveillance systems over more than thirty years. “We believe the MSS 6000 is unequalled in terms of its suitability for the purpose and its cost-effectiveness” says Olov Fäst, Director of Global Sales at S&T Airborne Systems. The MSS 6000 combines advanced technology with ease of operation. The system is platform-independent and has been installed on a number of different types of aircraft such as the Dornier 228, CASA 212, Dash 8, LET410, CL415 amphibian and many more. Two operator consoles equipped with a highly automated system for control of the sensors and for presentation, recording and reporting of the mission information. Handheld digital camera and video camera integrated with the system for annotation and digital storage of all images.